Why should you care about criminal justice reform? You are paying for it. We need to pay more attention to what is going on under our watch and on our dime, ignored because it doesn’t directly impact us. For example, Timothy Cruz, District Attorney for Plymouth County in Massachusetts, engages in some questionable practices, according to a July 4 Boston Globe article by Mike Resendes. Thank you Mike Resendes for caring about a population most of the world has given up on, and for shining a light on the injustice in our courts, jails, policing, corrections system and cultural biases. I suspect most of us were too busy toasting American independence on July 4 when this article ran in the Globe. Plymouth District Attorney Timothy Cruz has drawn criticism — from inside his office, from defense lawyers, from judges — over arranging deals with repeat offenders in exchange for their testimony in Brockton area murder cases. BROCKTON — District Attorney Timothy J. Cruz built his reputation as a tough-talking law-and-order Republican who doesn’t make deals with criminal defendants. 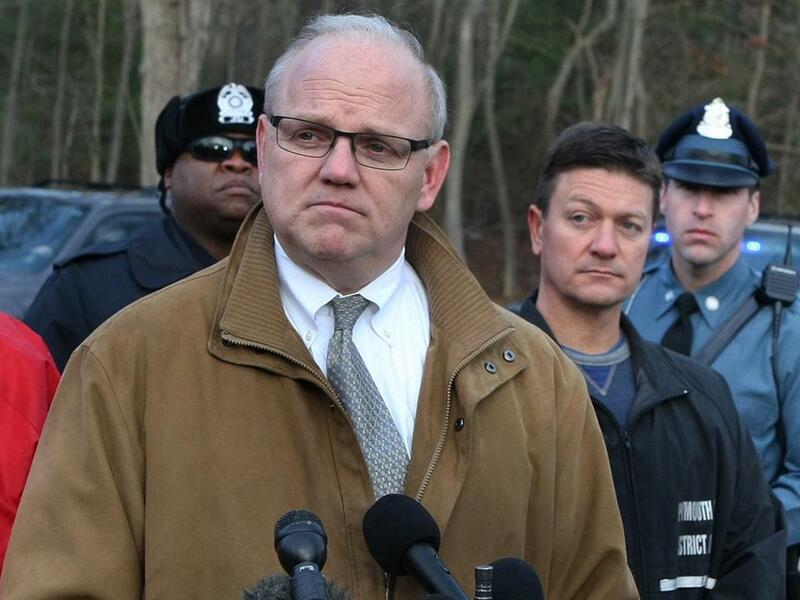 But a review of confidential court documents shows the Plymouth district attorney has repeatedly broken his own rule when it comes to cutting deals with career criminals who promise to help solve the many gang-related homicides that plague Brockton. Although Cruz says his use of cooperating witnesses has been successful, it has come at a steep cost. Grand jury testimony, police interview transcripts, and other documents obtained by the Globe show a pattern of granting favors to violent criminals who continue to commit new crimes almost immediately after being granted leniency. In one case, Cruz took the unusual step of using public funds to bail out a witness who had been captured after a high-speed police chase, only to see the witness rearrested for drug dealing and possession of an illegal firearm three months later. In another, Cruz agreed to reduce an illegal firearms charge against a cooperating witness to keep him out of prison, but the witness was rearrested on numerous other charges and eventually indicted for murder. The e-mails included a seemingly mocking attitude toward a crime victim, raising doubts about the former prosecutor’s integrity. And, earlier this year, Cruz was forced to drop all charges in two high-profile murder cases after an essential witness whom Cruz had paid to relocate out of state refused to testify. 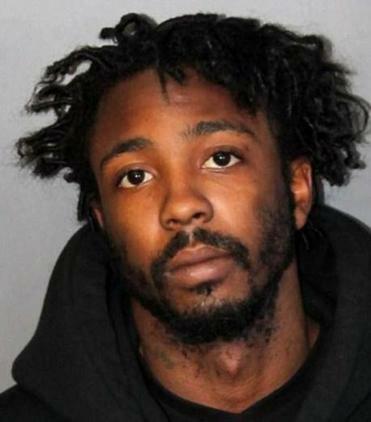 The witness, Nilton Darosa, threatened to kill three officials if they forced him to return to Massachusetts, and was finally arrested for carrying an unlicensed handgun. Cruz’s handling of cooperating witnesses has helped fuel an exodus from his staff amid charges from several critics that he has a “win at all costs” philosophy, and retaliates against those who question it. And Cruz’s top assistant abruptly resigned in April after allegations that he tried to smear the reputation of a former assistant district attorney who had questioned the office’s use of one cooperating witness. Bradley, now a prosecutor in Worcester County, has filed a federal civil rights lawsuit against Cruz and two top staff members. Cruz declined to be interviewed, but in a lengthy written statement to the Globe he said that the deals with cooperating witnesses have helped solve numerous slayings, and noted that, overall, his office won convictions in 84 percent of the 147 homicide prosecutions brought to trial in Plymouth County from 2002 through 2014. He also insisted that he carefully reviews the records of cooperating witnesses before deciding which of them could be trusted to stay out of trouble. But some judges, too, have begun questioning the fairness of tactics employed by Cruz’s office. In the last four months, three judges have separately rebuked Cruz’s office for its handling of cases before them, including the arrest of a crucial defense witness in a murder case moments before he was scheduled to testify. The witness was arrested in a courthouse hallway, with the approval of Cruz’s prosecutor, and hauled away in a police cruiser for an unpaid motor vehicle violation. “There was absolutely no intention . . . to prevent a witness from testifying for the defense,” Cruz said in his statement to the Globe. In a second case, Judge Cornelius J. Moriarty II scolded Cruz’s office for trying to portray a defense witness as dishonest and unreliable when it had previously allowed her to testify as a witness for the prosecution in another case. The witness, former Plymouth prosecutor Karen H. O’Sullivan, had testified last year for the state in a perjury case. 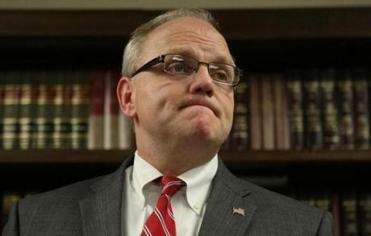 But when O’Sullivan was about to testify for the defense in a murder case this winter, Cruz’s top assistant, Frank J. Middleton Jr., attempted to discredit her by introducing caustic memos about her written by Middleton and other colleagues in the Plymouth DA’s office, along with racially charged e-mails that O’Sullivan had sent or received. If O’Sullivan, now a first assistant DA in Bristol County, were so unreliable, Judge Moriarty asked, why had Cruz’s office ever relied on her as a witness? “Frankly, sir, this bothers me,” Moriarty said to one of Cruz’s prosecutors during a March hearing. A third judge, Mark S. Coven, faulted Cruz for something he failed to do: seek criminal charges against guards at Bridgewater State Hospital in the case of patient who died while being subdued. Cruz said charges were unwarranted despite a medical examiner’s finding that the guards’ rough treatment caused the death of Joshua K. Messier in 2009. Coven, who reviewed the case this year, wrote that “any objectively reasonable person” would have seen that the actions of the guards “involved a high degree of likelihood that substantial harm would result.” The guards now face involuntary manslaughter charges, after a special prosecutor took Coven’s findings before a grand jury this spring. 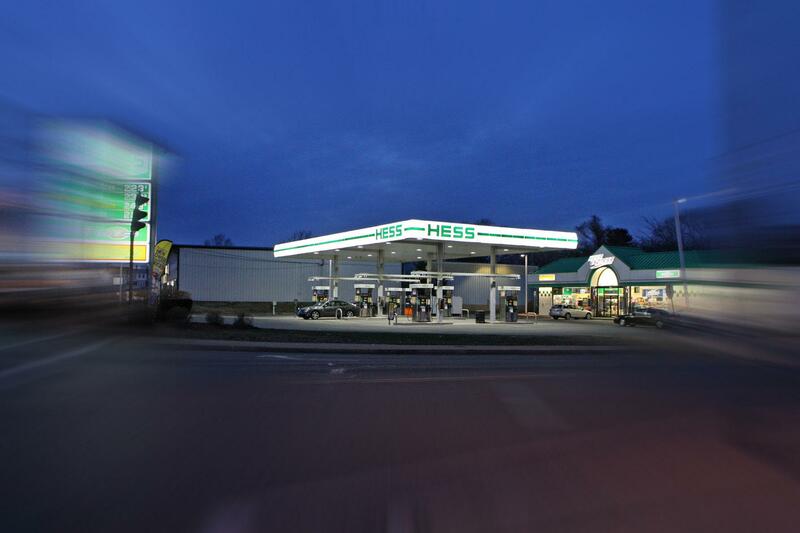 A 2009 murder occurred at this Hess gas station. The bitter internal dispute over Cruz’s use of witnesses with criminal backgrounds began in November 2010 when a drug dealer eager to get out of jail called investigators with an offer. 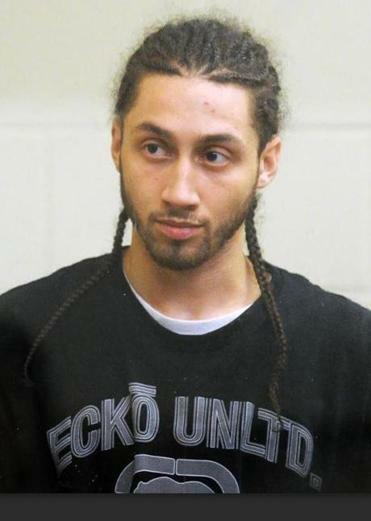 Kashin Nembhard, who had just been arrested after a high-speed chase in a car littered with 30 bags of heroin and cocaine, told prosecutors he had witnessed the killing of 23-year-old Antonio Centeio during a wild shootout at a Hess gas station in Brockton in 2009. He could identify the shooter and help solve other crimes, too, he said — if they would help him with his $5,000 bail. State Police troopers working for Cruz’s office negotiated Nembhard’s bail down to $350, then paid it with public funds and taped a statement by their new star witness, records show. Then they took Nembhard out for lunch. R. Michael Cassidy, a Boston College Law School professor and former head of the state attorney general office’s criminal bureau, called the move to free Nembhard “an inappropriate use of public funds.” He said prosecutors frequently work with cooperating witnesses while they are still in custody, holding out the prospect of a reduced sentence after they cooperate. But posting bail for the likes of Nembhard is over the top, he said. Lewis A. Armistead Jr., a former Plymouth prosecutor who was briefly in charge of the Hess station case, said he resisted efforts to do favors for Nembhard and complained directly to Middleton about posting Nembhard’s bail. “I nearly fell off my chair because at that point, I had been a prosecutor for probably 20 years and I’d never heard anything like that,” he said. Nembhard quickly became a headache for Cruz’s office when he resumed his career as an armed drug dealer while still working as a government witness, records show. In February 2011, three months after state troopers bailed Nembhard out, police caught him selling crack cocaine. And when they searched his home they found an unlicensed handgun. By the time Nembhard testified about the Hess shooting before a grand jury in February 2012, he was behind bars facing federal charges and up to 15 years in prison. Further undermining Nembhard’s credibility as a witness was the fact that his bail being paid by the DA’s office was not reported to the grand jury or, as court rules require, to the defense, according to the defense attorney in the case, Michael A. Bergeron. Grand jury transcripts in the Hess shooting show that when Cruz’s investigator, Trooper Brian M. Galvin, was asked directly whether Nembhard had received “promises, rewards, or inducements” in exchange for his testimony, he said nothing about the bail money. But in October 2012, O’Sullivan became concerned about the lack of disclosure. She privately told Bergeron, the lawyer for defendant Brian Price, who had been indicted on firearms charges, that Cruz’s office had paid Nembhard’s bail two years earlier. Bergeron complained to the judge in the case. Two days later, Cruz dropped all charges. The six-year-old murder of Antonio Centeio remains unsolved. But Cruz said his office did nothing wrong in its dealings with Nembhard, insisting his office dropped the case against Price because another witness had lied. “We believed and we still believe that it was ethically appropriate to make the bail arrangements,” Cruz said in his statement, noting that a judge later cleared both Galvin and the lead prosecutor of withholding information about the bail payment, accepting their assertion that any failure to disclose information was inadvertent. Cruz also said that Nembhard subsequently helped the office obtain three murder convictions. However, Bergeron is not persuaded that he and his client were properly informed about the bail arrangement. “Were it not for O’Sullivan having the courage of her convictions I would never have found out,” Bergeron said. Former Plymouth prosecutors and defense attorneys say Cruz has exercised poor judgment in several additional instances where he cut deals with criminals to help solve murder cases, inadvertently clearing the way for more violent crime. Cruz was especially generous with cooperating witness Olivio Leverone, agreeing in 2010 to drop illegal firearm charges in exchange for Leverone’s help in several unsolved homicides, according to the signed agreement between Leverone and Cruz’s office. The DA’s office also agreed to relocate Leverone to a new local apartment at a cost of $2,500 to taxpayers. Cruz said Leverone provided effective testimony, but just a year after the agreement to keep him out of prison, Leverone robbed a drug dealer, making off with approximately $225,000 in cash and several kilograms of cocaine, according to an affidavit by one of Cruz’s prosecutors. The alleged theft triggered a feud that culminated in a New Year’s Eve 2011 shooting, after which Leverone was arrested for firing a gun. Locked up and facing bail of $250,000, Leverone once again reached out to Cruz for help, in a handwritten letter. Leverone is serving a three- to four-year prison sentence for assault with a dangerous weapon, and will serve additional time in a county jail for possession of an unlicensed firearm. A third cooperating witness, Linanel Brown-Madison, was indicted in the fatal shooting of Joshua LeClair during an attempted robbery on a residential street in Brockton in January 2013. The Plymouth DA’s office worked with Brown-Madison for four years, starting in 2009, Cruz said, despite continuing bad behavior that included assaulting his girlfriend, impersonating a police officer, and having an unlicensed firearm in a motor vehicle — a charge that carries a mandatory prison term. Brown-Madison provided grand jury testimony that helped prosecutors secure two indictments in a murder case, but the prosecutor who handled the case decided in August 2012 against using him as a witness during the trial. She was still able to obtain convictions. “In my mind the witness had become a liability to my case because he was using his status as a cooperating witness as a license to commit crimes,” Tara Cappola told the Globe. Cappola left the office a year ago and is now in private practice. Cruz, in his written comments to the Globe, said his office punished Brown-Madison appropriately when he broke the law, doing nothing to help him get out of jail after he was arrested on the unlicensed firearm charge. Brown-Madison remained in jail for 144 days until his girlfriend was able to post bail. 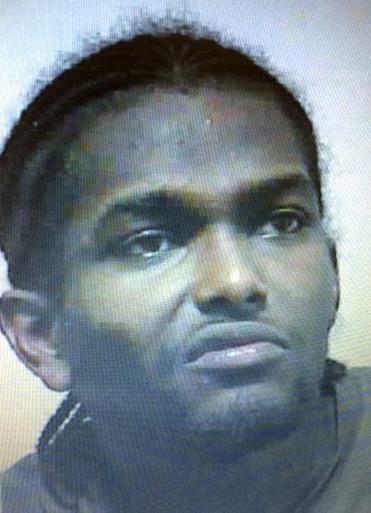 Brown-Madison has pleaded not guilty to murder and attempted robbery charges in the LeClair slaying. Cruz’s problems with a fourth cooperating witness, Nilton Darosa, began with Darosa not wanting to cooperate on a murder case at all. He agreed to testify only under threat of deportation, according to the transcript of a 2010 jailhouse interview. And Cruz had to relocate his new witness out of state for his safety, at public expense. Darosa did testify against two accused murderers — a cousin, Joao Fernandes, and his alleged accomplice — in separate trials last winter. But people who were there say his testimony against his cousin was lackluster, leading to a hung jury on the charge that Fernandes killed Manuel Rodrigues, who was gunned down after he testified before a grand jury about another murder. Darosa then tried to back out of further testimony against the alleged accomplice,threatening to kill a prosecutor and two others if they tried to make him return to Massachusetts. Eventually, Darosa relented, but his testimony was even less convincing, according to defense attorney Rosemary C. Scapicchio, and resulted in yet another hung jury. From there, his relationship with prosecutors deteriorated quickly. After Darosa’s disappointing testimony, Cruz’s office asked Brockton police to investigate him and he was charged with carrying an unlicensed firearm. At his arraignment, Darosa became extremely agitated and said he would no longer testify, undermining the murder cases against Fernandes and his alleged accomplice. Prosecutors have dropped plans to retry both defendants, and the Rodrigues murder remains unsolved. “If you solve cases with bad witnesses, you end up with acquittals and hung juries at the other end of the pipeline,” said Daniel J. Hourihan, a former Plymouth prosecutor now working in Bristol County. Today, Cruz is managing his office as if nothing were amiss, despite the judicial admonitions, the public criticism from his former prosecutors, and the loss of Middleton, his longtime right-hand man, who abruptly resigned this spring after 23 years with the Plymouth district attorney’s office. Middleton said he was resigning to enter private practice, but he stepped down amid criticism of his decision to use the racially charged e-mails linked to former colleague O’Sullivan in an attempt to discredit her testimony in one of the Rodrigues murder cases. Some, including the defense attorney in the case, said the e-mails raised questions about whether some of Cruz’s prosecutors are racially biased. Cruz has denied any bias in his office, but has called in an outside consultant to review the issue. “I remain committed to ensuring that all people involved in court cases . . . be treated fairly and equally, regardless of race,” Cruz said this year. Meanwhile, pretrial testimony is going forward in the lawsuit filed by former Plymouth prosecutor Bradley, who accused Cruz of wrongly firing him. Robert W. Harnais, president-elect of the Massachusetts Bar Association, said the multiple controversies in Cruz’s office are echoing through the legal community. “The office seems to have a win-at-all costs, ends-justify-the-means attitude, and it just doesn’t work,” said Harnais. This entry was posted in criminal justice reform, decriminalize drugs, Mass INC and tagged war on drugs on July 7, 2015 by Susan.